Chef, General Manager and Operating Partner Gilbert "Chip" Ritz. Gilbert “Chip” Ritz has been working at the restaurant since he was nineteen years old serving as a dishwasher. Over 23 years, he has worked his way up to chef, general manager, and operating partner. 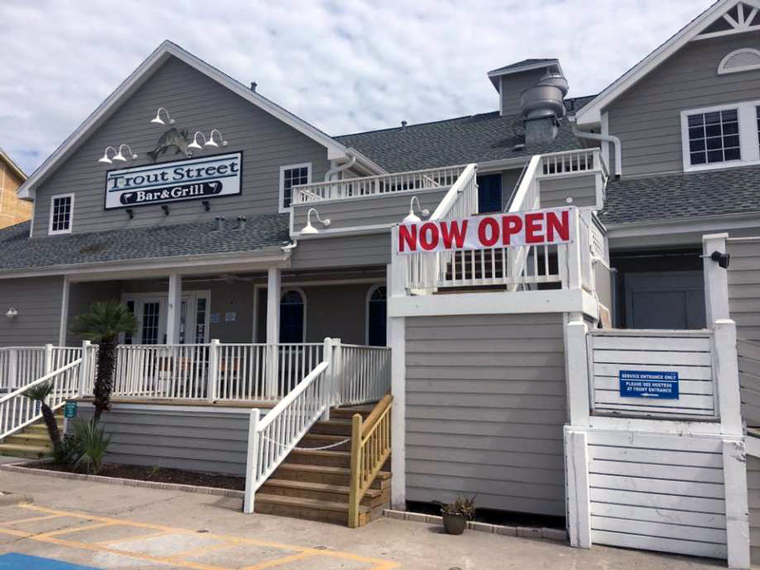 When Hurricane Harvey barreled across the Texas coast in August 2017, Trout Street was one of the many local businesses impacted by the storm. A few days afterward, Chip remembers coming back to the business for the first time. All around the island, buildings that were once home to lively, local businesses were gone, decimated by the Category 4 super storm. Pulling up to Trout Street, Chip was initially relieved to see his building still there, yet it wasn’t until he walked inside that the true damage was realized. Surveying the interior damage at Trout Street caused by Hurricane Harvey. “The first thing was the smell,” he said, recalling the mold and mildew that had seeped into every crevice of the restaurant, including the kitchen. After a few days with no power, all the food inside the commercial walk-in cooler was spoiled and rank. 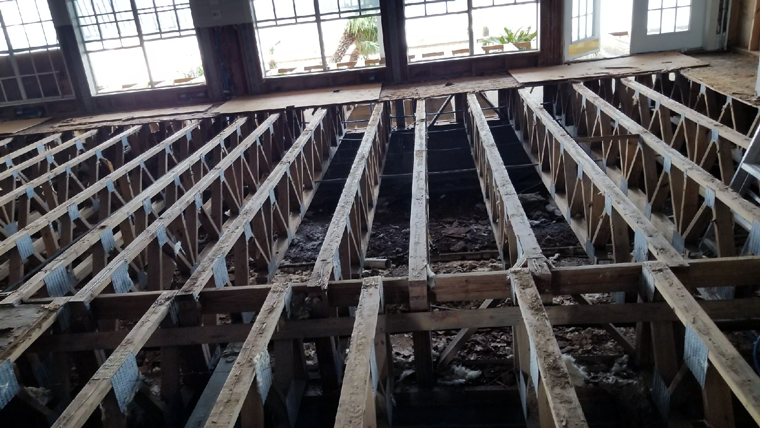 Nine inches of water flooded over the patio and into the restaurant, buckling the venue’s 100-year-old Mexican teak and eucalyptus floors. 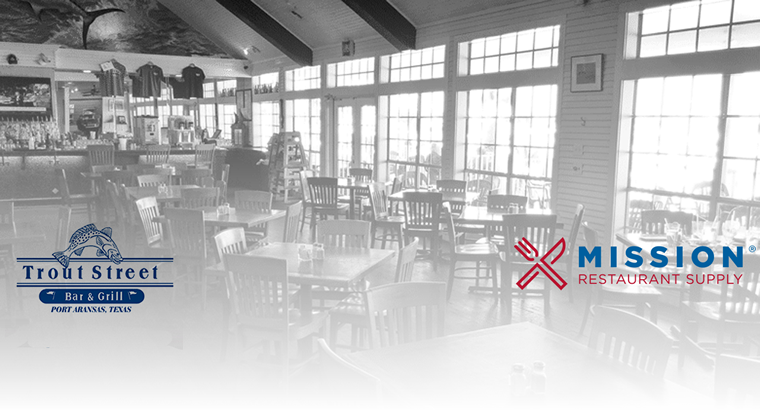 Whether it was design work or the replenishment of new bar equipment, refrigeration, or commercial cooking equipment, our team is honored to contribute to a place that has shaped the Port Aransas community since its opening in 1996. Outside Trout Street Bar & Grill, now open for business post-Hurricane Harvey. Photo via MySA.com. Today, Trout Street is re-opened post-Harvey and a symbol of survival in this coastal community. Inside, the restaurant’s old wooden floors are repurposed and layered along the walls of the back-bar and under-bar. Crossed fishing poles and a state-record white marlin hang on a wall as does a red flag which flew over Port Aransas during Hurricane Carla. 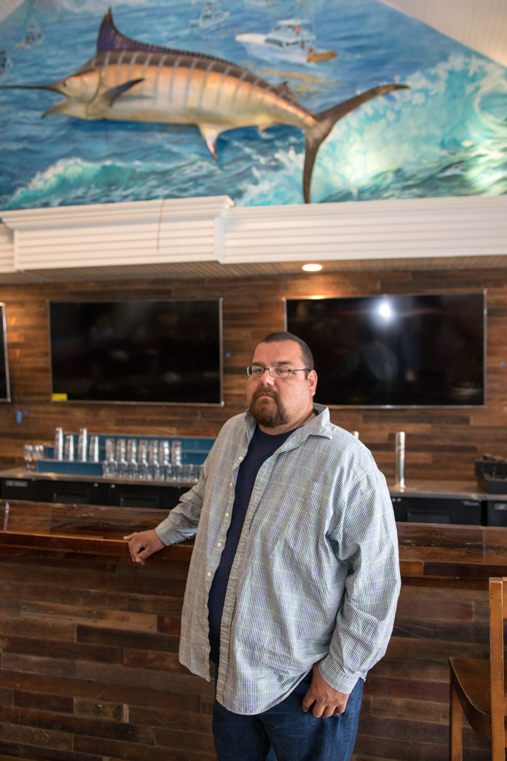 The bar at Trout Street features reclaimed wood and a colorful ocean mural. Photo via MySA.com. 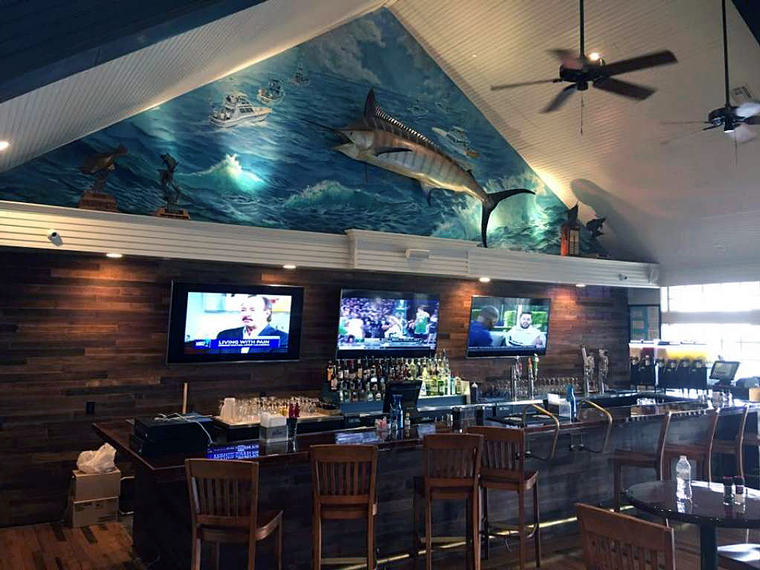 Over the bar, a large billfish and a painted ocean mural featuring boats going out to sea set the tone for the venue. All in all, Harvey proved that the people and businesses who work on the island could prevail despite considerable setbacks and hardships. Thankfully for everyone who comes here, Chip and his team stayed true to Trout Street, writing a new and improved chapter for the years to come. 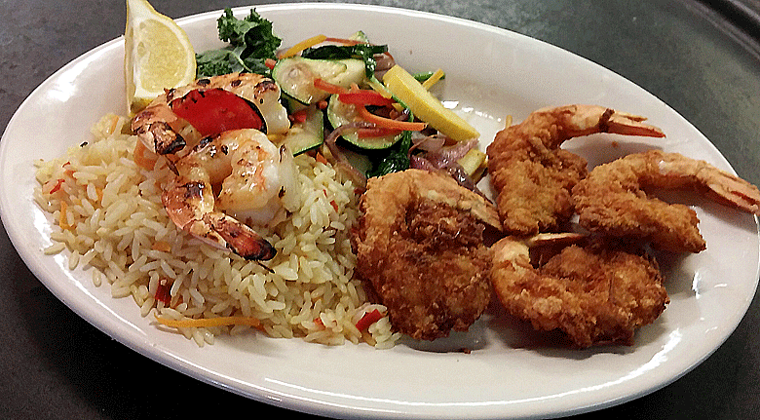 The restaurant prides itself on serving local-caught seafood, and the menu is full of different preparations, including the popular fried shrimp. Photo via Trout Street Bar & Grill. Check out other industry partners in our In Their Words Video Series.